This semi-sweet wine opens with luscious aromatics of citrus, stonefruit, and honeysuckle. The mouthfeel is juicy with bright acidity that activates the palate and displays flavors of peach, tangerine, pear and nectar. The finish is wonderfully persistent with a balance of sweetness and refreshing crispness. Père Ami, translated to "Father Friend," is a wine dedicated to Founder Jim Bernau's father and the help he provided early Oregon wine pioneers. A blend of Syrah, Grenache and Tempranillo, the wine offers a deep nose of plum, game and black olive. On the palate, the wine features additional dark fruits, cassis, pepper and tobacco. This full-bodied wine is structured with firm tannins, balancing acidity and incredible length on the finish. 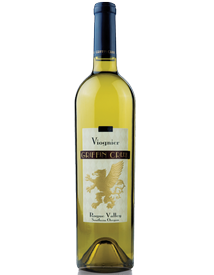 Vibrant aromas of the early Muscat grape, including lychee, peach and honeysuckle, leap from the glass offering a welcoming bouquet. On the palate, flavors of tropical fruit, citrus of orange, lemon and lime emerge around a sweet core. The effervescence and balancing acidity contributes to an energetic mouthfeel and clean finish. Lemon in color, the nose expresses aromas of citrus blossoms, pineapple, banana créme and coconut. On the palate, the wine expands with palate-coating viscosity, rich flavors of honey, nectarine and florals, and a balancing acidity that leads to a clean and uplifted finish. With a nose of cherry, cigar box, sweet tobacco leaves and cinnamon, the wine offers incredible complexity from the start. The rich palate features notes raspberry purée, black cherry, chocolate mint and florals that move into a seamless, silky finish with balancing freshness that carries the flavors far beyond the sip.